Expanding insulation foam can sometimes cure inside the applicator gun making it unusable. Kingfisher's Expanding Foam Gun Cleaner prevents this by flushing the Foam Gun or application system with Kingfisher solvent based Cleaning Cartridges. 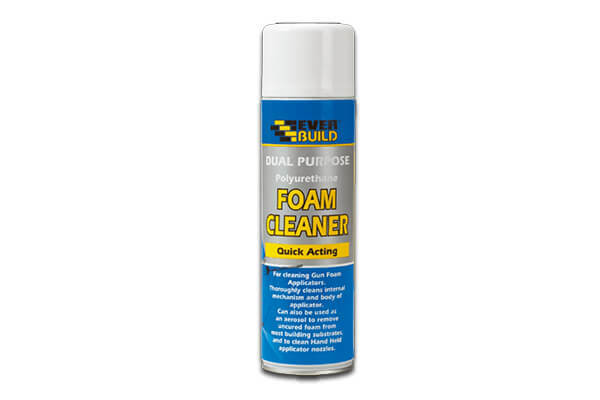 This product is second to none for clearing uncured pu foam from an expanding foam gun. To lengthen the lifespan of your applicator and to optimise foam delivery, the cleaning of your applicator gun is vital. This product attaches perfectly to most dispensing guns and is also fitted with a spray head. Kingfisher has a wealth of experience suppling gun foams, ensuring high quality products. For more information on how this product can help clean your heavy-duty hand tools, contact Kingfisher Building Products today.